New York, NY, January 23, 2018: Let’s Win, an initiative supported by the Lustgarten Foundation, launched the Let’s Win! Pancreatic Cancer Survivors video series Friday, January 19, 2018, at the American Society of Clinical Oncology Gastrointestinal Cancers Symposium. The new online video series, featuring long-term pancreatic cancer survivors of all ages and diverse backgrounds, has been created to show pancreatic cancer patients and their families that people do survive this disease. The survivors have responded exceptionally well to pancreatic cancer therapy that incorporates clinical trials and treatments that go beyond traditional protocols. Let’s Win! 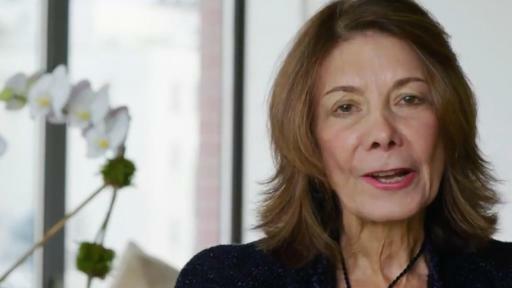 Pancreatic Cancer launches year-long video series featuring pancreatic cancer survivors. Each month a new video introduces a survivor and shares their journey. The series kicks off with a montage of the patients who will be featured in each of the monthly installments. The videos will reside on the Let’s Win website, and will be distributed on Let’s Win’s Facebook, Twitter, and Instagram platforms and via the feeds of Let’s Win partners and supporters. In this way survivors’ stories will reach as broad an audience as possible. Let’s Win! Pancreatic Cancer (www.letswinpc.org) is an online pancreatic cancer community. The goal of Let’s Win is to share science-driven treatment options that go beyond the traditional “standard of care.” The site includes an interactive patient and family forum where patients describe their treatment plans; information on promising science; highlights from the latest clinical trials; information about managing care during treatment; and current pancreatic cancer news. The Let’s Win Scientific Advisory Board comprises world-renowned scientists and physicians leading cutting-edge research on pancreatic cancer. Let’s Win! Pancreatic Cancer is an initiative supported by the Lustgarten Foundation. The Lustgarten Foundation is America’s largest private foundation dedicated to funding pancreatic cancer research. Based in Woodbury, N.Y., the Foundation supports research to find a cure for pancreatic cancer, facilitates dialogue within the medical and scientific community, and educates the public about the disease through awareness campaigns and fundraising events. Since its inception, the Lustgarten Foundation has directed $154 million to research and assembled the best scientific minds with the hope that one day, a cure can be found. Thanks to private funding, 100 percent of every dollar donated to the Foundation goes directly to pancreatic cancer research. For more information, please visit www.lustgarten.org.